One of my most beloved of creatures are primates, from the critically endangered mountain gorillas to the orange man of the forest and the mohawk toting macaques to the ones with most hauntingly beautiful of songs – the gibbon. And here at the Durrell Wildlife Park you’ll meet a wide range of them. Scattered throughout the park are various species of tamarins. Tamarins are small primates found throughout Central and South America and are the smallest of the monkeys. Probably the most well-known is the stunning golden lion tamarin who were critically endangered due largely in part to habitat loss, but are one of the fortunate species to be downgraded to endangered thanks to many conservation organizations and zoos around the world who helped secure land and reintroduced captive bred individuals. 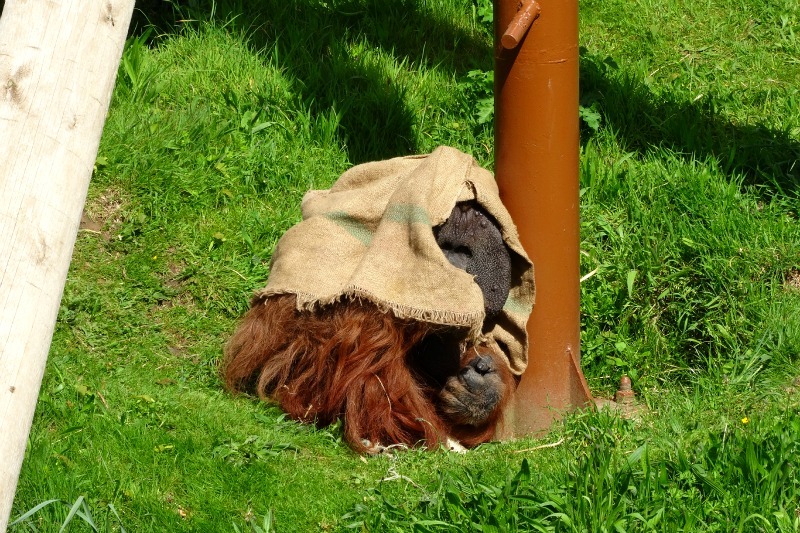 At Durrell Wildlife Park you’ll encounter emperor tamarins, with their adorable moustaches, golden lion, black lion and golden-headed lion tamarins, as well as pied tamarins. Pied tamarins are the most endangered primates in the Amazon but Durrell has been working strong to help protect them in the wild and have had great success in breeding them with a set of twins born at the Park this summer! Don’t be surprised if you find a few tamarins out of enclosures, as the Park maintains up to four groups of separate species free ranging in the Tamarin Woods. 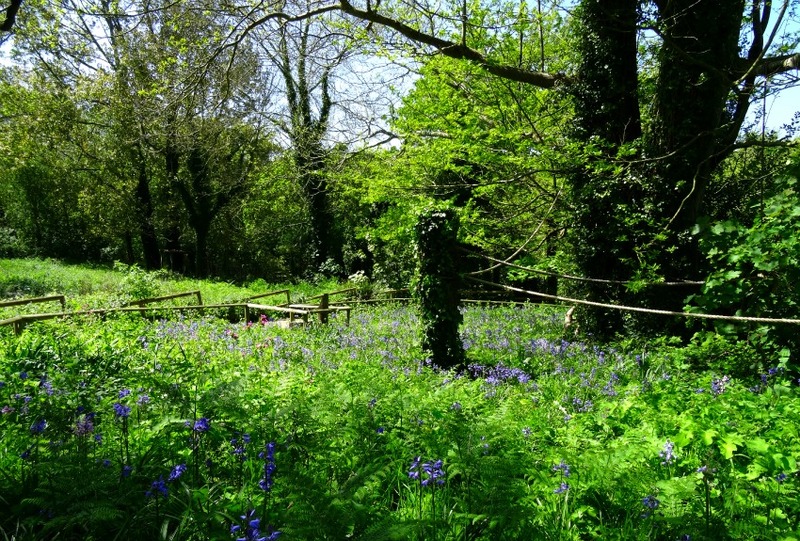 In this large wooded area the tiny tamarins roam free as they would in the wild. 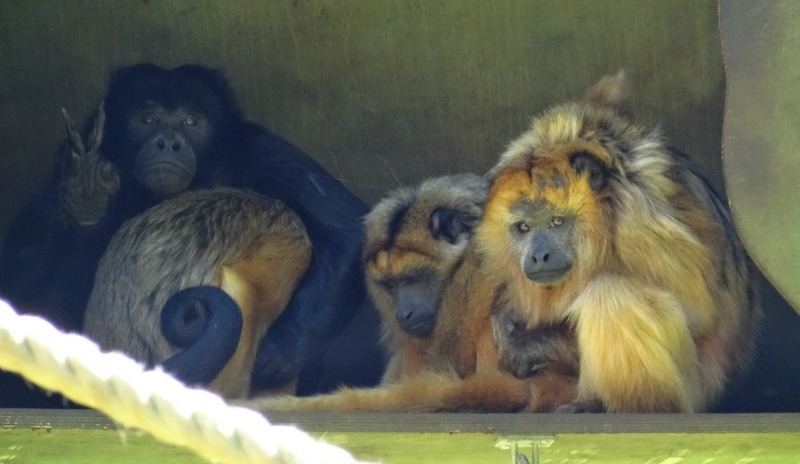 The Durrell Wildlife Park has had free ranging tamarins for over 20 years and this has taught Durrell’s staff a great deal on how to help captive-born monkeys develop the skills they need to survive in the wild once introduced. 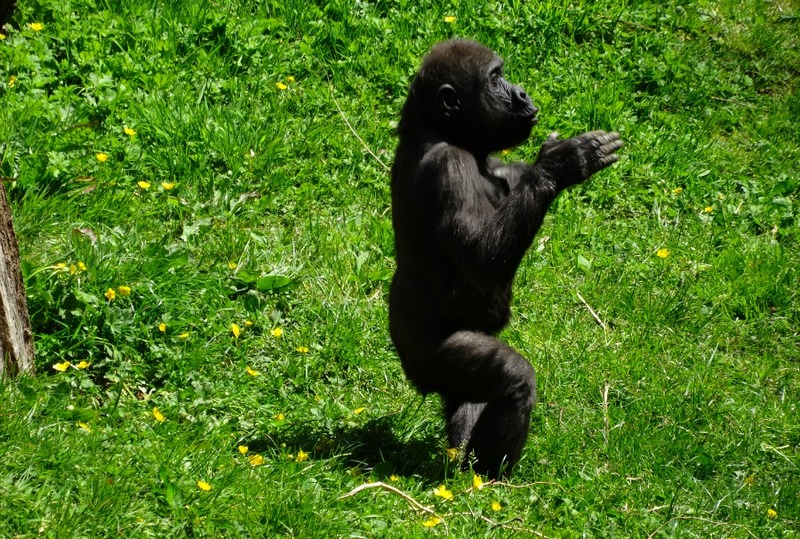 The first of the great apes that you’ll encounter is the Park’s troop of western lowland gorillas. As I drew near I breathed in that fragrant aroma that is gorilla and smiled. Yes, I will publicly admit it here and now, I love the smell of gorillas, I don’t know why but perhaps I associated it with my love for them. 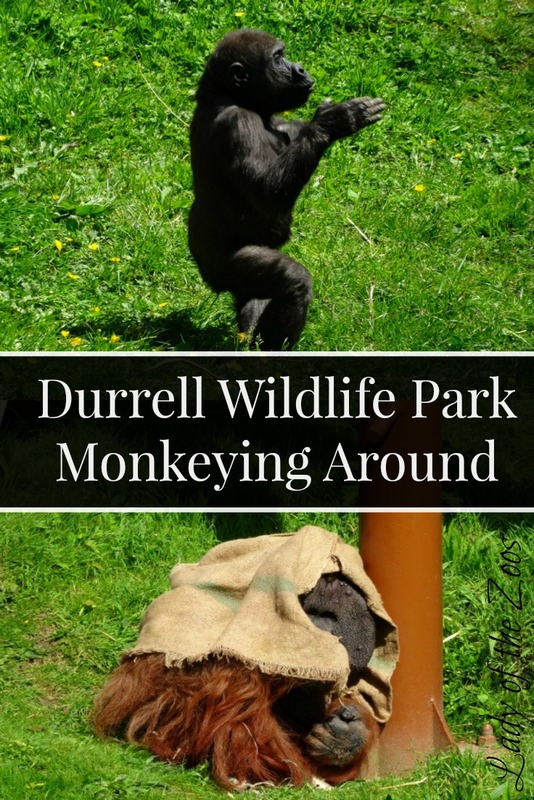 At the Durrell Wildlife Park the gorillas have indoor and a huge outdoor enclosure. Their outdoor yard had a face lift last year (2014), thanks to the help of the Jersey Field Squadron who volunteered their time to help the Durrell staff and the Senior Ape Keeper to create a 3D enclosure with a fantastic jungle-gym of ropes, wooden platforms and thick netting, for the gorillas to climb, seek shelter and help enrich their days. If there is one animal at zoos that I can sit and watch all day it is gorillas, always so human like with their expressions and interest in things and of course when there is a youngster around there is always entertainment. The Park’s youngest, Indigo, is quite the ham, full of gusto and always having a good time. I sat and watched as he tumbled down the hillside, only to come back up and do it again and later, with an eye on dad, he stood on his hind legs and tottered a distance trying to look big and half-heartedly beating his chest, preparing for his days as a silverback I guess. Ever wonder why gorillas have those pot bellies? No it’s not that they’re overweight, it’s because of their less than nutritious diet of vegetation. Gorillas have developed longer intestines to help them digest their diet rich in plant life and such have extended mid sections to accommodate this. One of Durrell’s most famous of gorillas was Jambo, to whom they have a life-size statue of near the gorilla enclosure. Jambo was a silverback male who shot to fame when a video was made public showing a child who had fallen into the gorilla enclosure and was being protected by Jambo from the other gorillas. This story really helped to quench the myth of gorillas being aggressive and ferocious beasts and shown light on their true gentle giant nature. 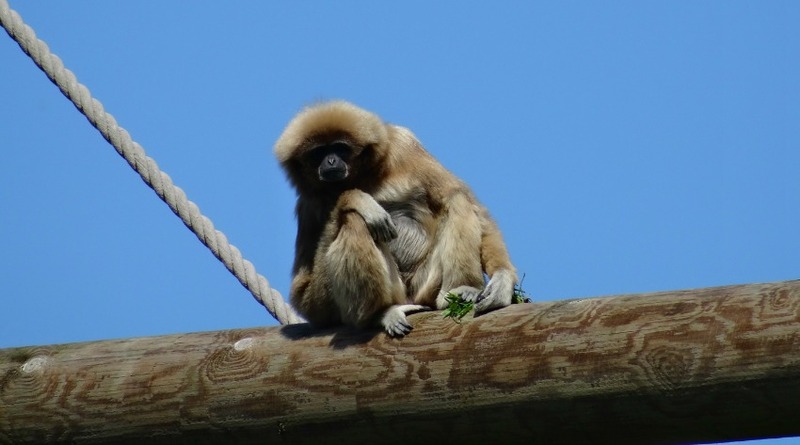 Another of my favourites, the gibbons, a pair named George and Hazel were out enjoying the sun’s warm rays. Unlike other apes, gibbons are monogamous and can stay with mates for decades. And it is these pairs that perform that hauntingly beautiful of songs, that is probably my most favourite of animal sounds, it is a territorial call as well as to solidify their bond. In the early mornings when I woke at the Durrell Wildlife Hostel and in the evenings I could hear George and Hazel perform the beautiful duet, sweet music to my ears. 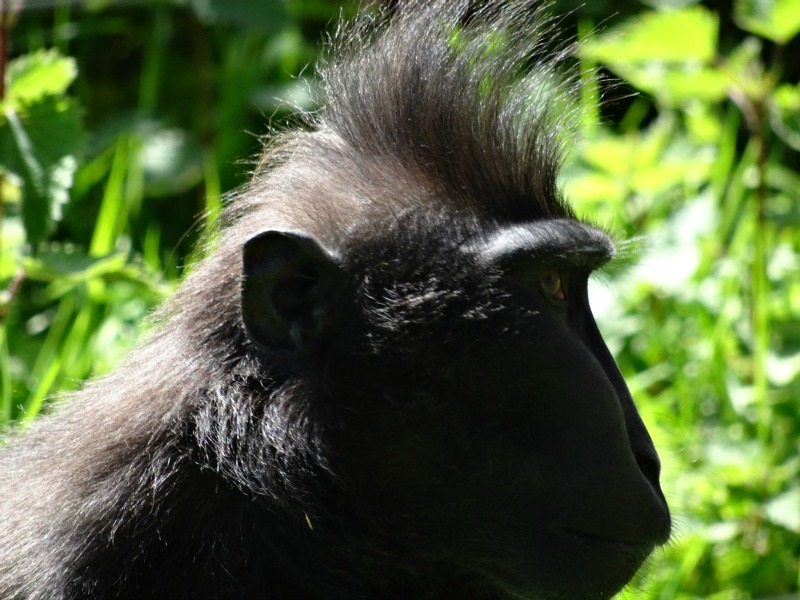 What’s your favourite monkey or ape to see at the zoo?